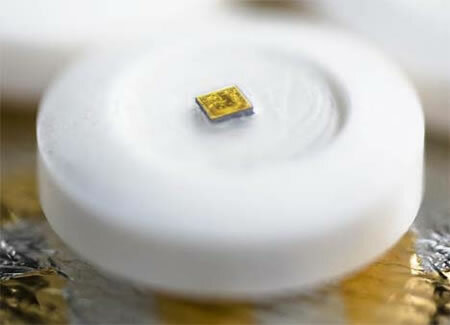 The Ingestible Event Marker (IEM) is a tiny microchip small enough to add to a common pill. Once swallowed, stomach acids activate the microchip. The activated IEM sends data like heart rate, temperature and body movements to a special dermal patch via Bluetooth. From the patch, the data is made available to doctors. "I see the promise as going much beyond that," he added. Fans of William Gibson's exceptional 1984 novel Neuromancer recall the implanted microprocessors that were used to monitor highly-placed corporate salarymen for illicit medication use.